Mittoni: PQI 16GB Pink i820 USB Drive For Your Mum! PQI 16GB Pink i820 USB Drive For Your Mum! PQI 16GB Pink i820 USB Flash Personal Digital Storage Drive brings class and style to personal storage any lady will love! If your stuck for ideas for your Mother this year get her this classy USB drive in its pink lather case and fill it with photos of the kids! It’s the perfect way to add a personal touch to your gift this Mothersday! This i820 drive redefines the way people look at USB flash drives, with its stylish finish and attractive miniature leather pouch. When attached to a bag or mobile phone as an accessory, you wouldn't even know it was a USB storage device! This USB flash drive is compatible with all Microsoft operating systems from Windows Millennium (WinME) onwards and Mac OS 10.1 and above as well. With dimensions of 29 x 11 x 2.5mm and a tiny weight of 10.1g, this storage device enables easy, trouble free data transfers, but will not add to your baggage or travel weight. The perfect traveller’s companion! 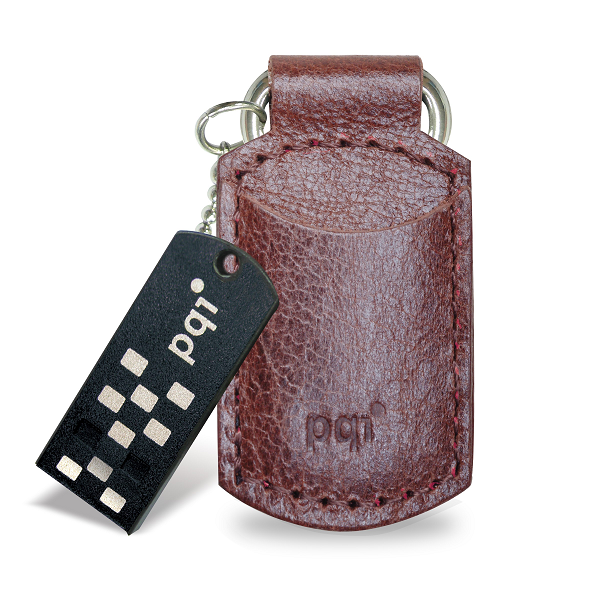 PQI USB flash drives are backed by a lifetime warranty and industry leading service and support. PQI It looks like an iPhone 4? what is it? What Web Browser is Fastest for Windows in 2011? Playseat Its time to Play! Lian-Li Build Mum a PC for Mothers Day! PQI helping Mums shock proof there data!